With summer coming, many of you probably have plans to take a vacation. When you go on vacation, how do you eat? Do you eat differently than you do at home? Do you pretty much always gain weight on vacation? I realize that most people, especially those who are overweight or yo-yo dieters, eat more when they are on vacation. But isn’t that what is crazy? Vacations are to relax and have fun. To recharge your emotional batteries. Overeating weighs us down. It feels crappy. Why would anyone want to do that while on vacation? 3. Savor every mouthful. I mean, if you can’t resist a doughnut because it tastes so good, you want to really taste it, right? You can’t fully enjoy the gooey, greasy sugariness when you’re texting, reading the newspaper or wolfing it down while walking up the street. 4. Stop when your body is sated, not full. What happens if your body is comfortably sated and there are still a few bites of doughnut left? Be super happy that you enjoyed this favorite food, and either save the rest for later, offer it to your travel companions, or throw it in the trash. Holy doughnut! Did I say throw it in the trash?? Yup. Because that is how to eat delicious joy foods without gaining weight. By not overeating them. 1. Those last few bites never taste as good as the first bites. 2. If you stop eating before you are full, you will feel light and energetic, but if you finish the food, you’ll likely feel heavy and bloated. 3. You’ll gain weight because you ate more than your body needed so it stored the rest as fat. You see, the key to living deliciously without being overweight is this: it’s not what you eat but how you eat that makes all the difference. Speaking of Portland, a few years ago, I went on a lengthy family vacation which started there. Portland is an awesome food city, one of the best. I enjoyed delicious food at every meal. Then we traveled to Montana where we spent a week on a dude ranch hiking, horseback riding and eating gourmet family-style meals. When I got home two weeks later, I had lost two pounds! How? Because I never overate. I savored fabulous food throughout the trip, not once depriving myself by thinking, “I can’t eat that because it is unhealthy or fattening.” But I stopped eating when my body had enough. Every time. Plus the daily activities at the ranch burned a lot of calories, which is why I lost weight instead of just staying the same. When you learn to eat in response to your body’s signals, you eventually lose the desire to overeat. Really. I know. I overate most of my life, and now hate that stuffed feeling. 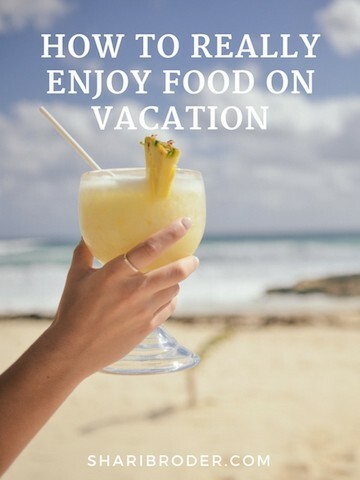 When you eat when you’re hungry and stop when you’re sated, when you pay attention to every biteful of deliciousness, you can enjoy your favorite foods while on vacation and not gain weight. If you need help breaking old habits and establishing good new ones that will help you lose weight without deprivation, I’m here to help. 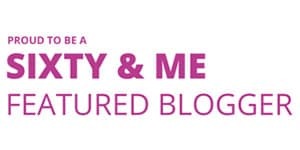 Read about how we can work together so you can lose weight and keep it off HERE. Previous Post If Hunger Isn’t the Problem, Food Isn’t the Solution Next Post Meditation Really Can Help You Lose Weight!